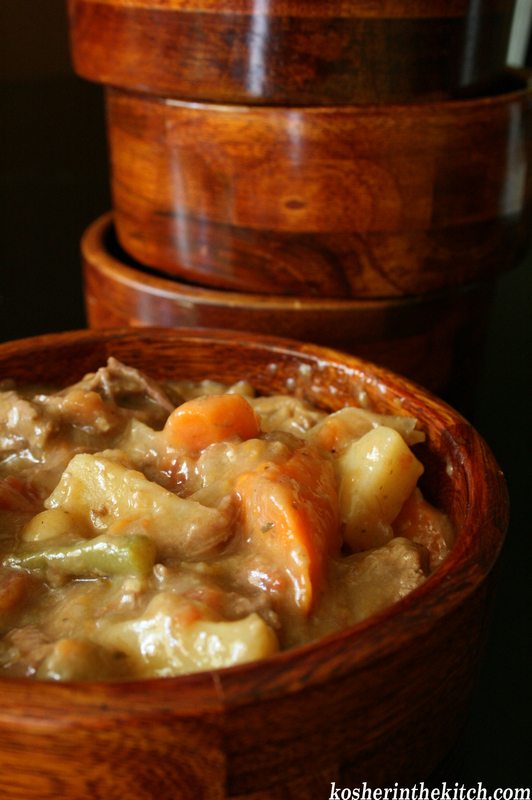 Slow Cooker Beef Stew - Kosher In The Kitch! 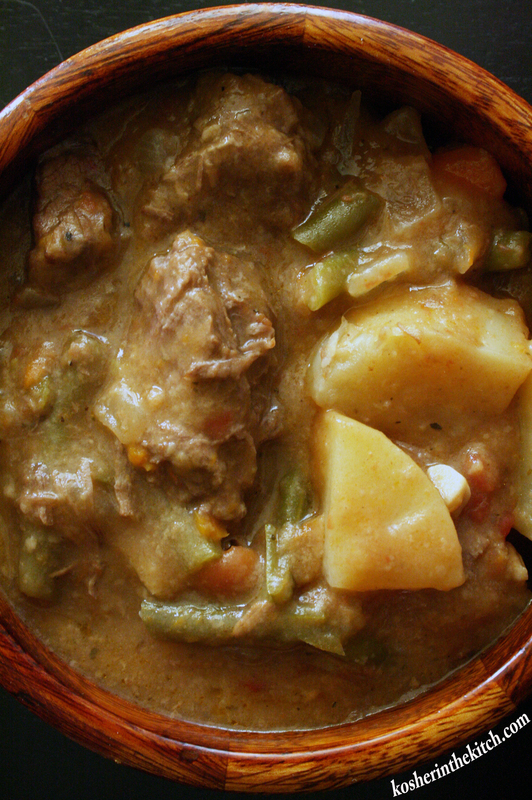 Slow Cooker Beef Stew - Kosher In The Kitch! Sunday is all about the fams! Whether it’s a trip to the Zoo, strolling through the mall or having fun at the park, Sunday is the one day I don’t want to be in the kitchen! Yesterday, I was able to throw ingredients in the slow cooker and enjoy a day out without worrying about what’s for dinner. Yes, this particular recipe does require some prep work, but trust me it’s worth it. I tried it once without first browning the meat and it was not as tender. After a long day out, it felt great coming home to a delicious home cooked meal. This goes great with leftover challah from Shabbat or fresh pita. Combine the flour and pepper and sprinkle over the beef. Make sure each piece of meat is coated in flour mixture. Brown beef in a frying pan, using small batches at a time so as not to over crowd the pan. Then place the browned beef in slow cooker. Add the remaining ingredients and stir to mix well. Cover and cook on high for 4 to 6 hours or on low for 8 to 10 hours. Remove bay leaves before serving. what type of meat is beef stew meat? It says Stew Meat on the packaging. Now this is what I call quality kosher food. Thanks for the recipe. This was delicious!! I added more potatoes and sweet potatoes to make it more filling and some salt !! can I use this recipe as a really slow cooker meaning for Shabbos day? I have not done that but you can try. Cook it on high for several hours then switch to low overnight. Instead of “Brown beef in a frying pan” can I just coat the meat and put everything in the crock pot without frying the meat? Or can I just put the meat in with out coating it? It will be cooking for at least 8 hours, if not more…. Hi, I have made this without browning and coating the meat first and it still came out good. If I am not browning the meat can I leave the flour out? Also, I don’t like diced tomatoes can I use tomato sauce instead and add more spices? Thanks! Hey, what size crockpot did you use for this recipe? Also, I just need one can of 14,5 oz diced tomatoes right? This sounds and looks delicious! Can I use a large Dutch pot and put the stew in the oven? I have a large family and the crock pot is not big enough. Hi, yes it should work that way!